Flight. Long legs likely useful for walking and steping on prey. Long legs for improved walking ability; may have looked like "an eagle on stilts"
© 2009 San Diego Zoo Global. 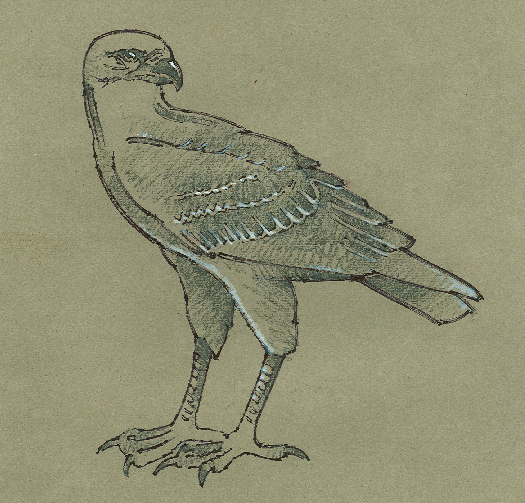 How to cite: Extinct Daggett's Eagle (Buteogallus daggetti) Fact Sheet. San Diego (CA): San Diego Zoo Global; [accessed YYYY Mmm dd]. http://ielc.libguides.com/sdzg/factsheets/ extinctdaggettseagle.